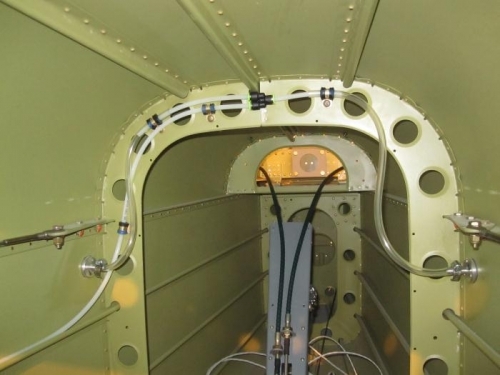 First photo shows the static port tubing installation and the rear shoulder seat belt attach points. 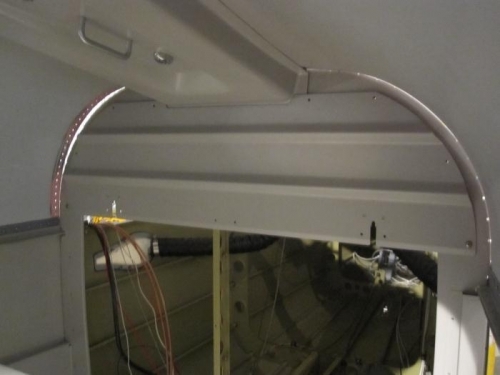 I also trimmed the top baggage bulkhead panel to fit around the overhead panel. Climbing back into the baggage area was more fun again. Janice kept telling me how I should get in and out, until I asked her to demostrate her method.